This is a Brand-New aftermarket replacement Dometic AC 120v 210 watt Heating element for several Dometic models. This element will fit most of the RV Dometic two door Refrigerators. 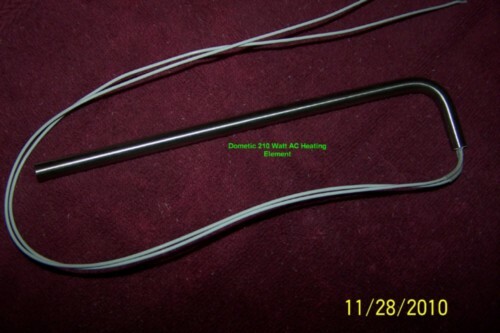 This listing is for one brand-new Dometic aftermarket replacement AC heating element. This 210 watt AC element fit various models of Dometic Refrigerators. The Dometic side by side refrigerators uses 2 AC heating elements. One or both may need to be replaced.